If you cross the Kurushima Kaikyo Bridge and get off Oshima, you really want me to go to Murakami Naval Museum (Picture 5) And the coastal street (Picture 4) where you can see the Nojima setting the stage of the daughter of the Murakami pirate. On the coastal street where you can see Nojima you can see the current of the ocean tide at hand. The experience of seeing the whole sea flowing can not be experienced quite easily. 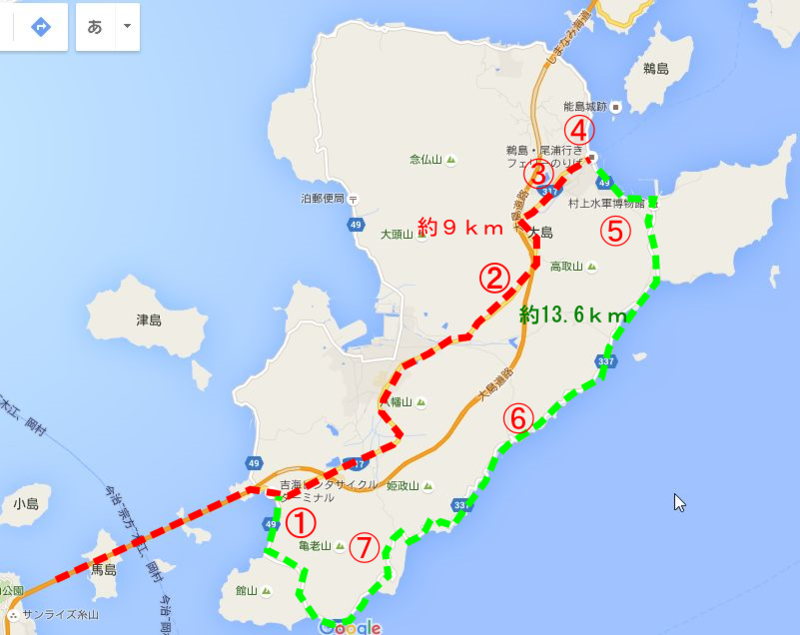 When departing from Sunrise Itoyama, crossing the Kurushima Kaikyo Bridge and going back and forth to the Murakami Naval Museum, it is roughly 30 kilometers so I think that it is just right if it is the distance of a day for beginner cycling. In fact, I have not stopped by slowly about this "Yoshiumi Ikiikikan". Because when I leave from Imabari side around 9:00, it will be around 10:00 to pass this "Yoshiumi Ikiikikan". Also it will be in the evening to pass on the way back. So we only drop in with a toilet. So, I can not introduce about this Yoshiumi ikiiki pavilion, so I will introduce you about "Yoshiumi Ikiikikan" from various places because it is introduced in various places. Dining and special products market boasting proudness. 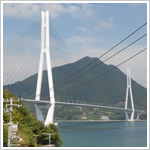 While enjoying the Kurushima Kaikyo Bridge, you can enjoy seafood dishes and barbecue of seven wheat flavors, where you can taste fresh seafood. You can also purchase souvenirs such as vegetables, fresh fish, special products etc, which were collected in the town. On Saturdays, Sundays, and public holidays, we also conduct demonstration sales of Jyako-Ten. Deep-fried bean of Tsukishima is a hakufuku and its volume is sufficient. It was very delicious. 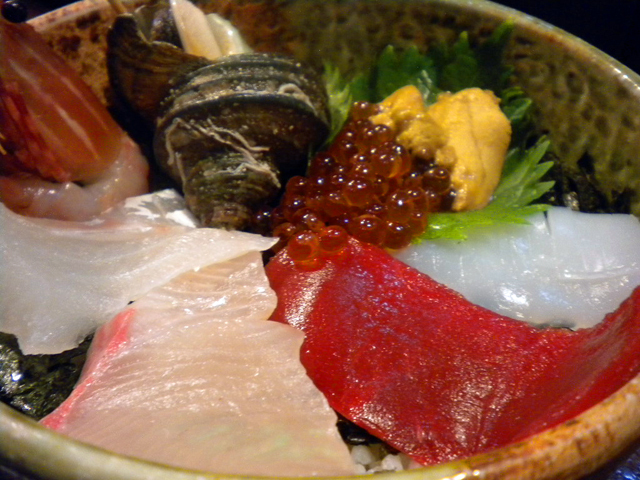 Also, the sashimi of the sea bream you changed was also a delicious dish tightened. 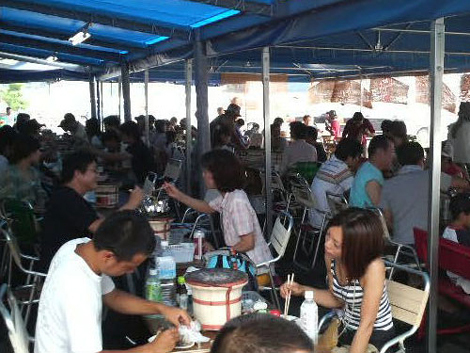 If you enjoy the whole seafood, barbecue may be good, but if you enjoy sea bass specialties restaurants are recommended. 「From "Yoshiumi Ikiikikan", a gentle uphill continues. 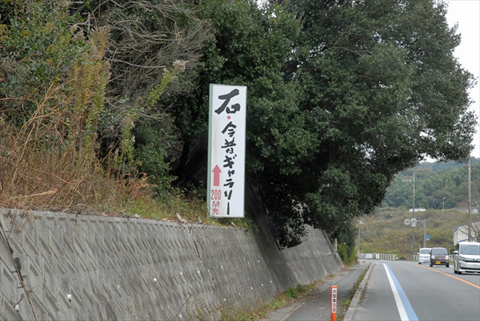 When you leave "Yoshiumi Ikikikan" and run towards the north side of Oshima, we are waiting for a gentle uphill. 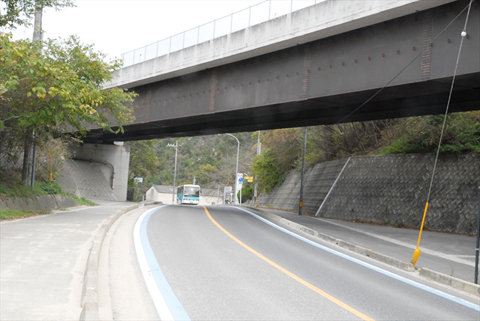 Although it is this ascending slope, it will continue to climb uphill for about 10 minutes. The uphill continues for about 10 minutes. It may be a bit tough for beginners. If you climb up this hill, flat area will continue for a while. There are also a home center and a convenience store, so you can do a bit of shopping. There are convenience stores and home centers. It is ascending ascending after this area. This time the ascending slope is longer than before. If you are a beginner, will it last 15 minutes or so? There is a sign called a stone gallery on the way. 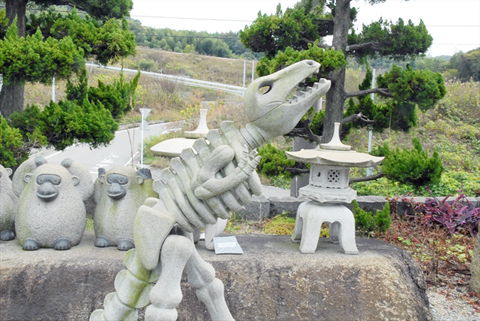 Because Oshima is a production area of stone called Oshima stone, quarries and huge stones are placed casually. 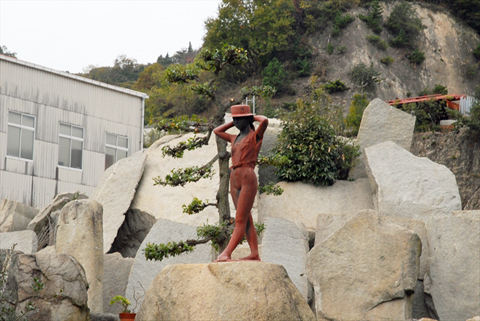 I can watch this stone gallery free of charge, so if you get tired of going up the sloping road, I think that it is a good idea to take a small break. After this gallery, it is a little more until the top of the hill. The intersection of the highway is the top of the slope. After coming so far, we are going down at a stretch. I descend to the town "fishing port" north of Oshima, "Miyakubo" in a stroke. The climbing uphill climbing up with such a hardship like a lie, if you do five minutes of things you will be down the slope. It is a place where speed comes out, so you need attention. 雅(Miyabi)'s seafood bowl is high satisfaction. When you go down the slope you will see places to eat a few. I did not go to all shops, but Mr. Ya's seafood bowl is highly satisfied. The price is also expensive a little though. 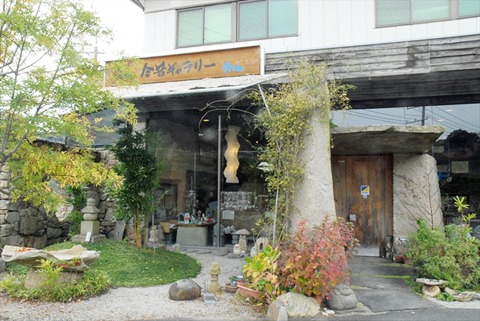 Although it may be a bit tight for beginners of cycling, it is "Shokudo Mitsubati" that you can eat particularly recommended lunch even inside Oshima. "Shokudo" may not have a very good impression "What is a shyokudo ~", but it is quite difficult why, when I visited this "dining hall Mitsububachi", 80% was a woman did. That means that girls can eat popular lunch. Blue terrace is cute "Shokudo Mitsubati"
関連記事⇒Lunch at the "Shokudo Mitsubachi" is recommended? 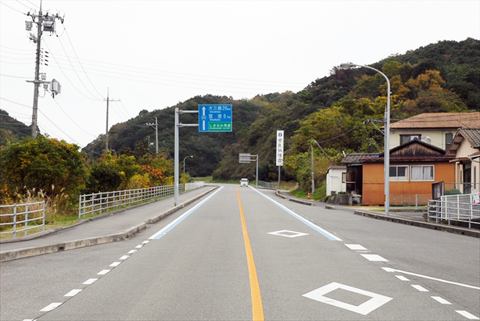 When departing from Imabari side of Ehime prefecture, departing from the cycle station "Sunrise Itoyama" is a course recommended for beginners. Facilities such as meal and toilet are enriched, and staff are kindness everyone. Bicycle rental is also substantial. I am glad that the parking lot is free for all reasons. 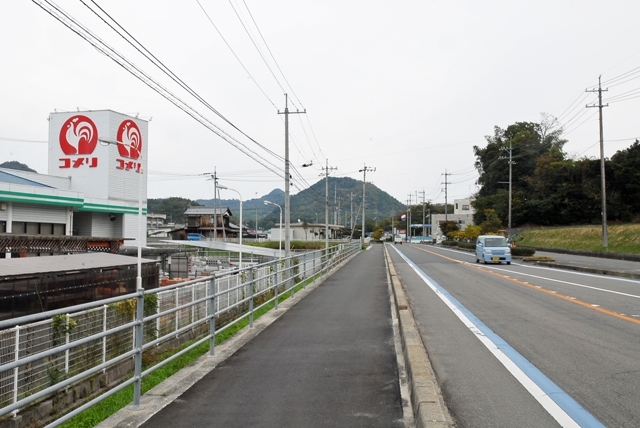 It is "TataraShimanami Road Station" of Ohmishima that is said to be "the sacred place of the cyclist". This Tatara Shimanami Road Station has more facilities than the above "Sunrise Itami". Parking lot can also be done for free, and the number of cars that can be parked is also overwhelmingly large. and you can enjoy the most beginners I think that it can be called a point. From Onomichi Shimanami The first step towards the sea is to cross the Onomichi and cross the ferry to Mukaishima. 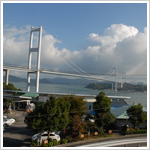 Bridge connecting Onomichi and Mukaishima is a bridge that is not friendly to bicycles, unlike Shimanami Kaido's bridge. 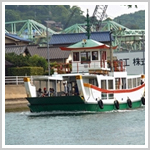 Ferries are frequented from the front of Onomichi Station, so it is recommended to use this.